Parental involvement is one of the biggest factors in a child’s academic success, and students whose parents are involved in their children’s education are more likely to graduate, go to college, and enjoy learning. Are you looking to get more involved? 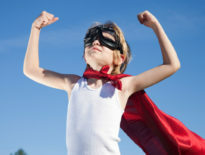 Here are seven ways to play a more active role in your child’s education. Studies show that reading just 20 minutes a day with your children improves their vocabulary, reading skills, and general knowledge. Take turns reading aloud and having your child read to you. No kid likes to be left alone doing homework when others are out having fun. Your children will find it easier to concentrate if you are right there with them, and they know they aren’t missing out on anything. Homework can also become a bonding experience. If your child is struggling with a particular concept, try to find supplemental online learning activities that can help. Many websites and online courses show creative, hands-on teaching methods for every possible educational topic, including math programs, such as the highly adaptive LearnBop, plus writing apps, apps for learning STEM, and music apps. Take advantage of educational topics as they come up in conversation or day-to-day activities. For example, ask your child to calculate the tip at a restaurant, or identify and weigh vegetables at the supermarket. Or look for resources to mark special days in history and find educational movies to watch together and discuss. Even sporting events can provide educational opportunities. You can encourage a love of learning by showing your children how excited you are to learn new things. Children pick up on your feelings easily. The more you express interest and enjoyment in educational topics, the more they will too. 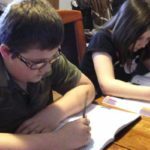 As children get older and teaching styles change, you may not know all the answers to your children’s homework. But don’t let that stop you from helping! You can use online resources to find the answers alongside them. 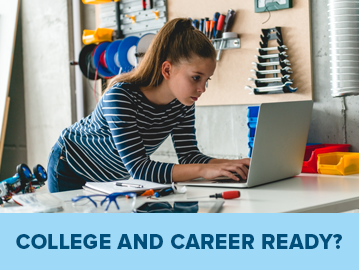 If you show your children how to look up answers and conduct research, you provide them with learning tools they can use through high school and beyond. Fill your home with creative, educational opportunities and supplies. Have a closet filled with open-ended supplies for art, engineering projects, science experiments, and educational games ready to go. Rather than turning to the TV, iPad, or video games, join your child in a fun and educational craft project instead! Becoming involved in your child’s education takes time and commitment, but the outcome is worth it. 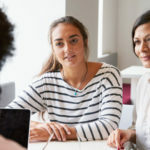 Parents who switch their children to online learning have even more opportunities to be involved with their students’ education by becoming their Learning Coach. 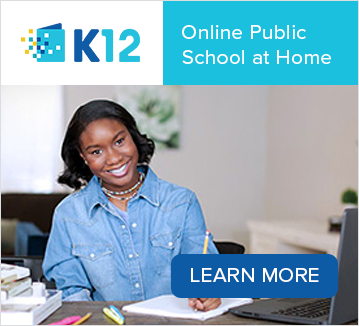 Learn more at K12.com. In what ways have you become more involved in your child’s learning?